In order to book your 2017 holiday in Hotel Zi' Teresa, use our direct web site, not to lose the opportunity to have a 5% discount with the special promo code! Please contact us by phone or e-mail to receive the promo code that you have to insert it in the special field during your reservation. 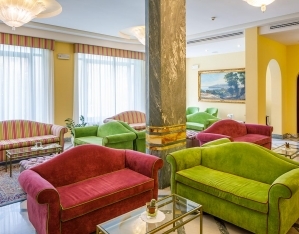 Hotel Zi’ Teresa, recently refurbished and widened, is certainly the ideal place for a Sorrento holiday and to discover the archeological and natural wonders of the Bay of Naples and of the Amalfi Coast. Located in a quiet position in Sorrento centre, it offers a pleasant stay in its tastefully furnished large rooms, made delightful by a warm and family-type welcome.